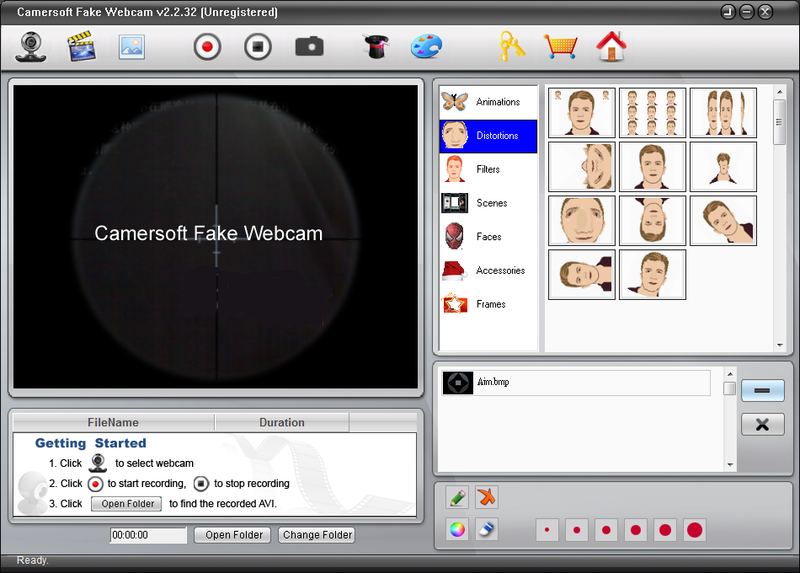 Camersoft Fake Webcam works like a real webcam and you could select it as your default webcam when you have a video chat. You could also play a video to webcam or set the video as your webcam image even you donot have a real webcam device. This fake webcam enable you to add effects to the video image during the call, and support most popular Instant Messenger(IM). In addition, it provide video capture and video recorder functions so you could save the video on your PC. # Webcam Recorder:· The fake webcam provide video recorder function, and you could record webcam video and save as AVI files on your PC. So it could also work as a webcam monitor. # Take Snapshot: With the snapshot function, you could capture a webcam image and save it as BMP files. 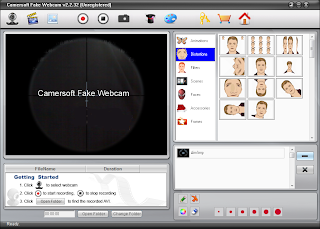 # Various effects: Camersoft Fake Webcam provide many different effects for you to add to the webcam image during your chatting or call with your friends.